I'm an obsessive quantified self junkie with a love of new gadgets and a hatred of inaccuracy, pseudo science, and platitudes. Just How Accurate are Smart Scales? Perhaps to a fault, I love tracking and quantifying everything I do. I weigh and measure everything I eat and enter it into an app to evaluate my calorie intake and nutrient mix. I measure my heartbeat and activity with a body monitor. And naturally I want to know how my body is measuring up on various metrics, not just weight. You may feel the same--and like me, you may be very keen to know just how accurate every device and app you use actually is. We may also be in the same camp with regard to smart scales. You like the idea of them, but are not sure just how accurate they are in their various measurements beyond just weight. To spare you some time, I will share my findings. In addition to pouring over quite a few smart scale articles and reviews, I compared the performance, over time, of two smart scales: The commonly-known Fitbit Aria ( presently about $130 on Amazon) and lesser known PICOOC MINI (presently just under $60 on Amazon), which has given me a good general overview of these scales' reliability. 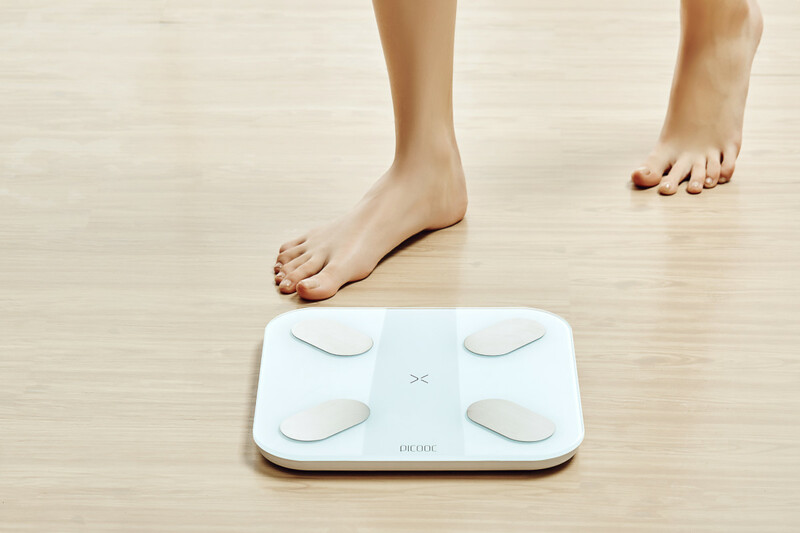 Most self-proclaimed smart scales use a light electrical current they run through your body to make various estimations about your body composition. You should use these scales while barefoot, with dry fret, and not while holding objects that might throw off the analysis. While these scales are safe for most, everyone is very clear that you should NOT use these scales while pregnant or if you have a pacemaker. I have not read of anyone with these conditions dying or experiencing a miscarriage because of a smart scale, but better safe than sorry. The measurements you get are estimates; they are not perfect. That said, for those of us who are not fortunate enough to have a throng of health and exercise specialists following us around daily with calipers and needles, this is a pretty good way to get an ongoing peek into the varying states of our meat puppets. 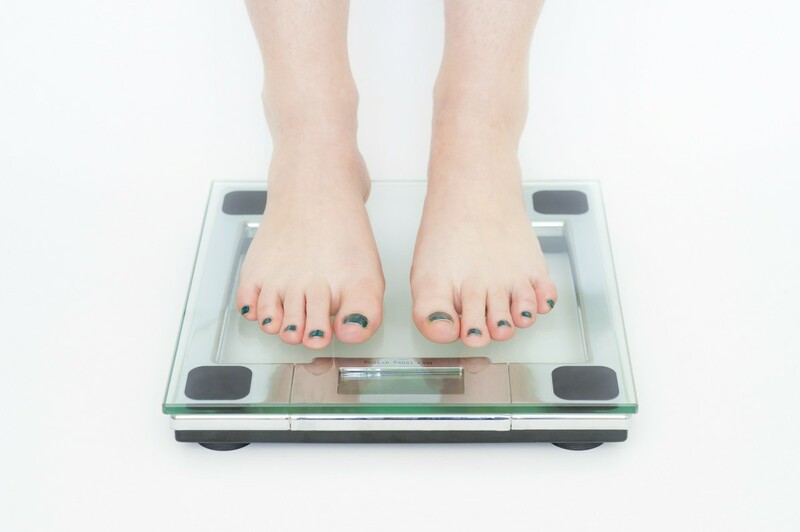 Measurements like weight are usually accurate within six ounces, so as normal scales, smart scales are entirely fine, plus they also usually sync to an app that makes it easier for you to track your weight over time. For many, this is enough. Bug like me, Dear Reader, I imagine you hunger for more. The smart scale measurements that set smart scales aside from, erm, dumb scales, like body fat percentage are a little more varied: They may be off by as much as 5% and seem to be influenced by how well hydrated you are at a given moment. For example, I may weigh myself, have a body fat percentage estimate of 20, then work out for 90 minutes, weigh myself again, and have a reported body fat percentage of 18. To me, it is clear that smart scales have trouble distinguishing fat from water, but I won't be too hard on them for this. Finally, more complex measurements that some smart scales offer, such as bone mass, appear more likely to be be off if you are unusual for your age. I, for example, have osteoporosis at age 30. Multiple X Rays and visits to the doctor have shown that I have osteoporosis in my lumbar spine and hips. I would expect, with this being the case, that my bone *mass* measurement should also be low. And yet smart scales tell me my bone mass looks excellent, whereas that of my husband is apparently low on the bone mass front. I am not sure what might be causing these readings to be off, but I cannot say I would trust them, and dislike that this measurement could have lead me to be blasé about my calcium intake and bone-strengthening activities had I not already known I had osteoporosis. All that said, the overall valuations provided by scale provide pictures that are, on the phone, accurate reflections. 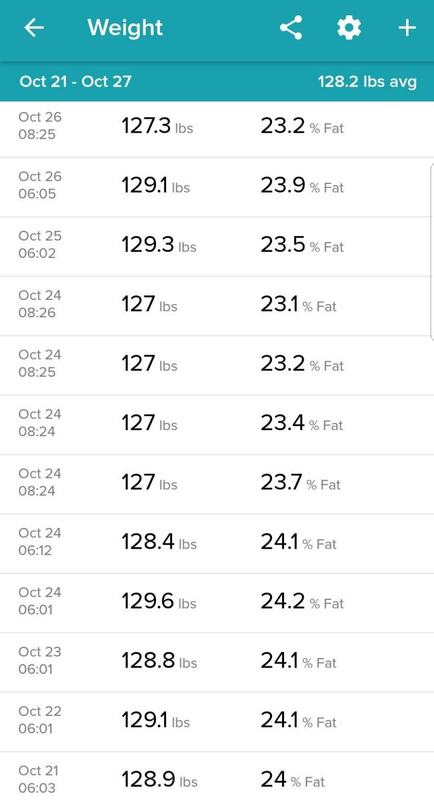 Smart scales can tell that I am a lightly underweight and well-hydrated exercise addict, and that my husband's secret to weight loss is diet only and zero exercise. 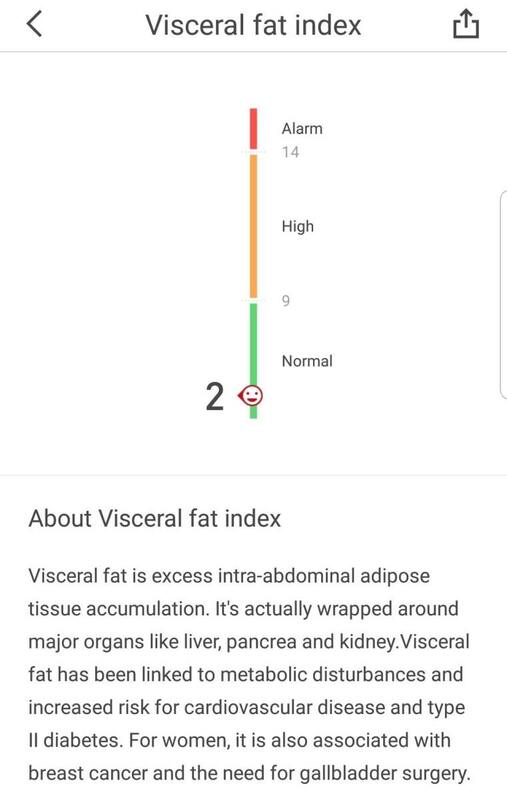 This is enough information to help us know how we should be improving in general (that I need to gain some weight and my husband needs to take a break from work every now and then and take a walk), which is what ultimately matters. So know this: If you purchase a smart scale, you ought not take everything it reports for granted. Consider its reports to be rough estimates and it's tips to be helpful, but do not let it be your final medical opinion on various diagnoses. The Aria represents the former in all these cases, whereas the PICOOC MINI represents the latter. The Fitbit Aria is a nifty smart scale associated with the Cult of Fitbit... erm... the Fitbit device network. 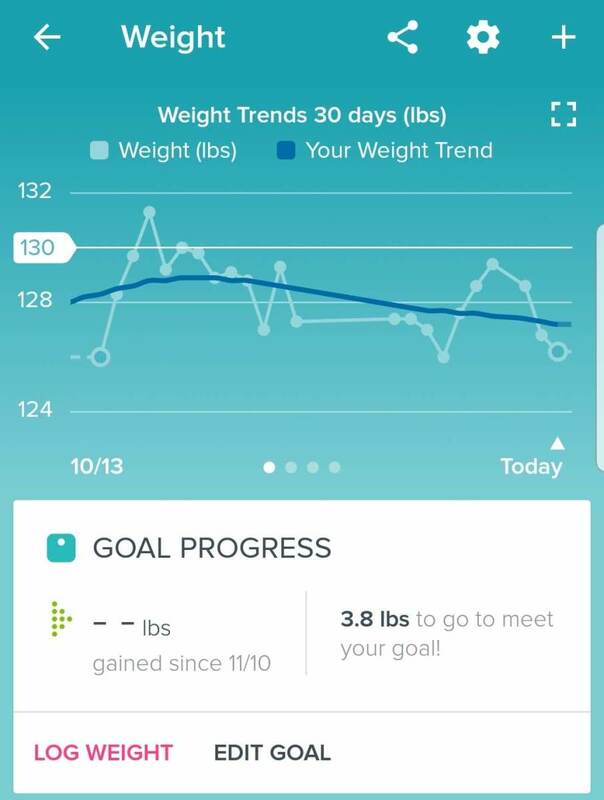 Owning three Fitbit devices (heavens forbid one of mine dies or runs out of energy and I have to spend more than ten minutes NOT wearing one), I am obviously a big Fitbit fan and figured I could encourage my husband to be bullish on weight loss if he had a scale that synced up with an app and helped him see a satisfying graph going down. What's to love about the Fitbit Aira? The Fitbit Aria syncs with my Fitbit app via wifi. No data entry hassle, and no need to open an app. Glorious! Because the Fitbit Aria syncs with the Fitbit app, it also syncs with the MyFitnessPal app—a popular foot tracking app, so long as you set up syncing between those two apps. With this being the case, I don't have to re-enter weight from one app to another. The sleek, black design looks great in our bathroom. What's to hate about the Fitbit Aira? 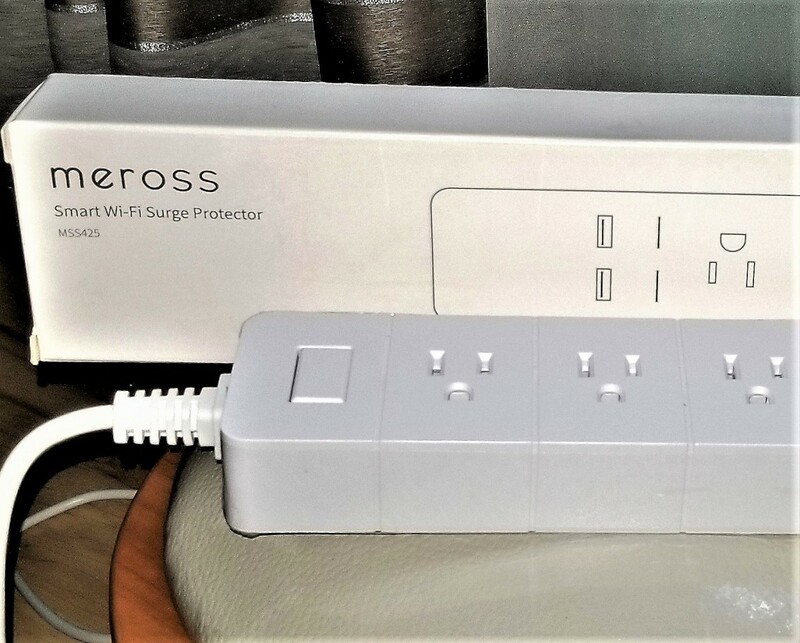 While many online reported setup to be a breeze, my husband and I, after a 12 hour day at work running three companies spread across three continents, we had a hell of a time getting the wifi setup process to actually work. 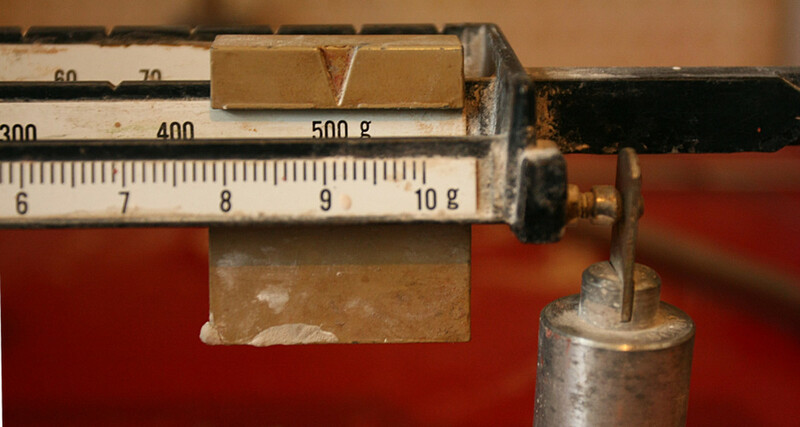 The "smartness" of this scale is limited to just weight and body fat. Is that really so smart? The Aria is fairly heavy. We travel to a different continent every month. I like to keep my scale with me. I had to buy a small travel scale since this just KILLED our checked luggage weight. The sleek, black design is, being black, more likely to show dust and grime. It's a bit on the pricey side. 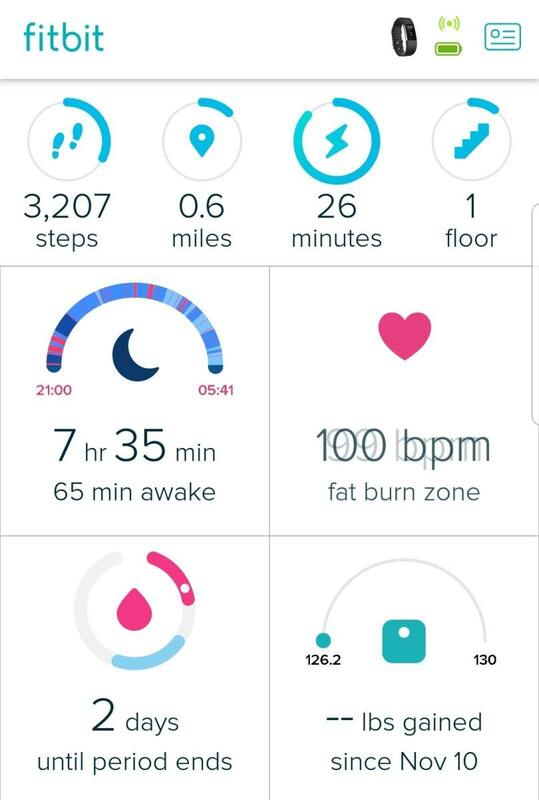 How accurate is the Fitbit Aria? Weight-wise, the Fitbit Aria is spot on. There is, however, a fair level of controversy online and within my household about its measurements of body fat percentage. Overwhelmingly, those who have a problem with it complain of the body fat percentage calculation being higher than they would expect. I tend to agree with these folks—and I say this not as a rotund lady looking to slim up, but a post-female-triads-disease slim gal trying to fatten up in anticipation of getting (hopefully) pregnant and starting a family. I WANT to see a higher fat percentage, but frankly, I think the scale is flattering me—wiggling its eyebrows at my bony ribcage and saying "Naw, girl! You're TOTALLY fat enough to sustain another human beneath that ribbage! Put down that second bag of popcorn!" I, for one, do not appreciate that perceived lack of honesty. So to be honest with you, Dear Reader, I only refer to my Aria's weight report and nothing else. 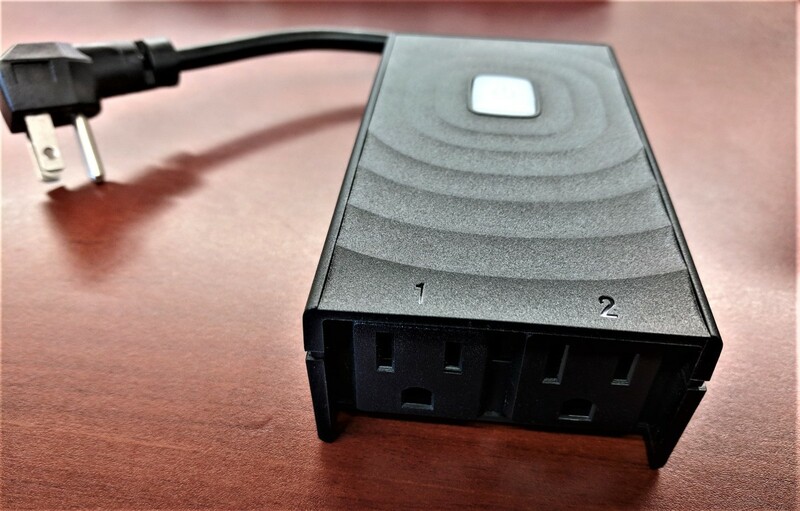 The PICOOC MINI is just about as obscure as the Fitbit Aria is well-known, but I do hope it gets a bit more online love in the future, as this thing has become a dear little pet of mine. And kindly synthesizes its findings of you in a neat little score and body type table, giving you an estimation of how good or bad things are looking for your body, as well as what, exactly it is that you should be improving. Our PICOOC MINI scale, for example, suggests that I need to get a bit fatter (which is technically true: I have a couple different medical issues because I've spent years being a bit too slim), whereas the scale suggests that my husband needs to work on building up muscle (which is entirely fair as he has stopped exercising during a recent crunch period of work on the businesses we operate). 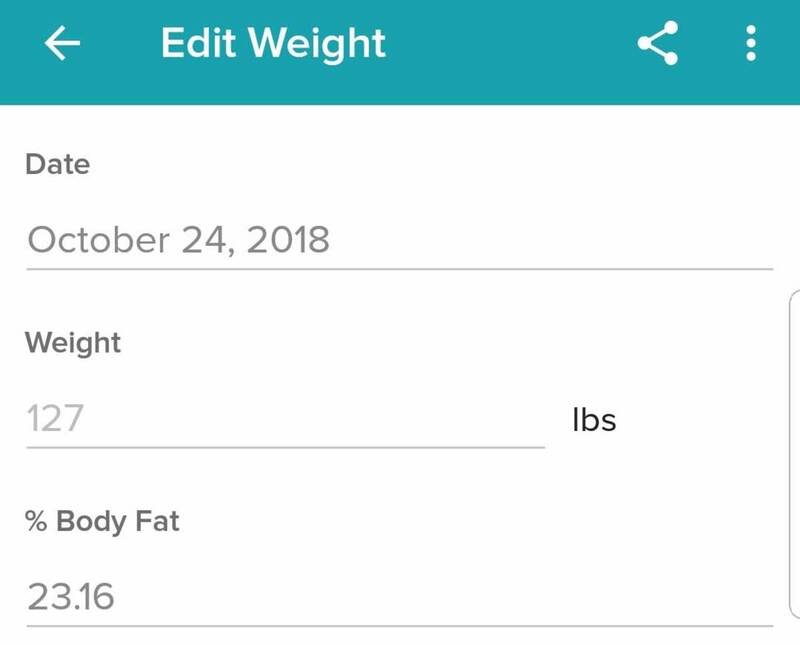 Personally, I think that score and graph put the "smart" in this smart scale, as it's one thing to receive a bunch of data about yourself, but another thing entirely to know what to do about that data. See why I love this darned thing? What's to Love about the PICOOC MINI? Because it presents so many features aside from just stats, it can keep you motivated to improve your diet and exercise even when you reach your goal weight or when your rate of weight loss (or desired weight gain) appears to slow down. The other day, my husband chose to took the stairs to our ninth floor apartment, which is rarely enjoys doing. I asked him why and he said: "The scale says I need more skeletal muscle." I LOVE THAT! Though this is a full-sized scale, it is relatively light. We can and do travel with this one! As someone with an apartment where the bathroom seems just out of wifi range (a travesty for long poo sessions), I actually like that this scale uses a Bluetooth and not a wifi connection to sync with my phone. 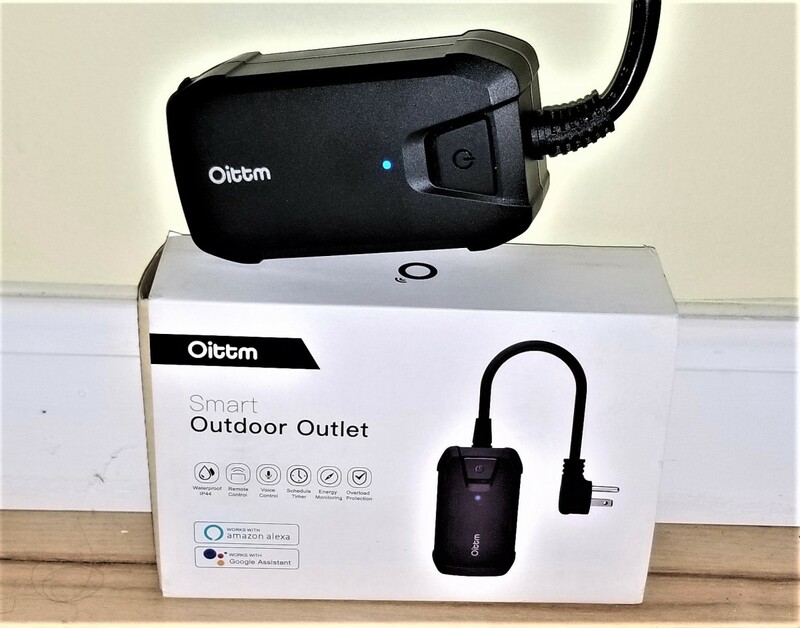 Because the PICOOC MINI syncs using Bluetooth and not wifi, it also syncs faster, which my husband loves, as he—as most of us these days—is all about instant gratification. Setup was a breeze. Turn over the scale, snap the QR code from the downloaded app, enter your physical age and stats, and BOOM: You're ready. The process took me two minutes whereas it took me two hours to make my Aria usable. The white, sleek scale looks great in our bathroom and its color is such that dust and grime that accumulates on it does NOT show up as quickly. Huzzah! 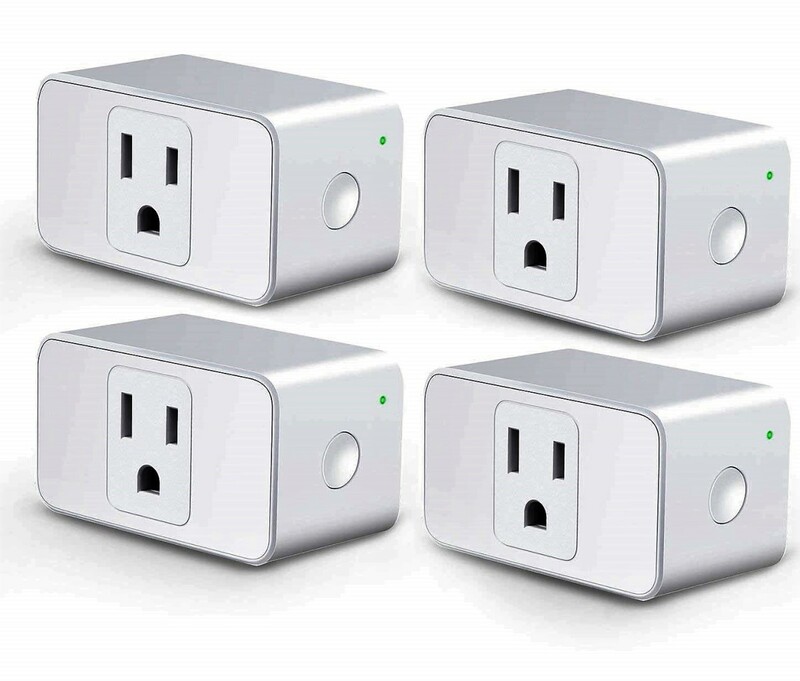 What's to hate about the PICOOC MINI? 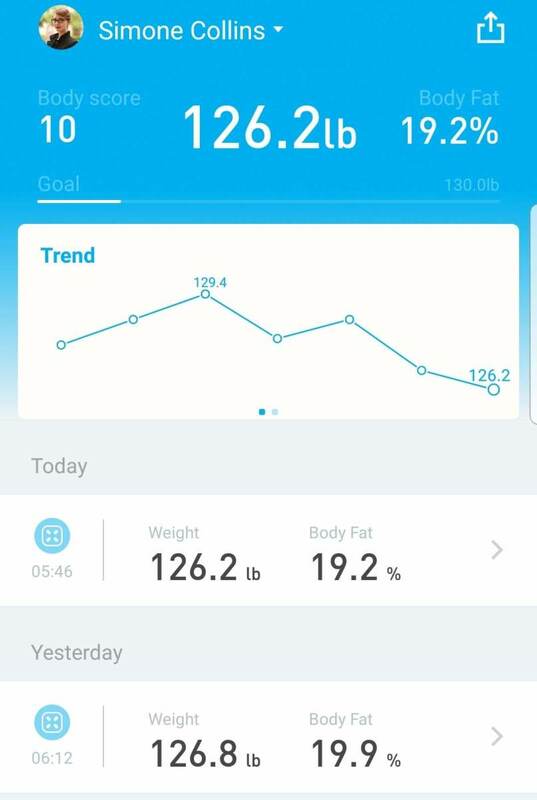 Because the scale's readings sync to the PICOOC app via Bluetooth and not wifi, one has to open the app and hit the "weigh" icon to weigh in every time. At first, this had me miffed, but honestly, since I always have my phone with me anyway, this has not been a major impediment. 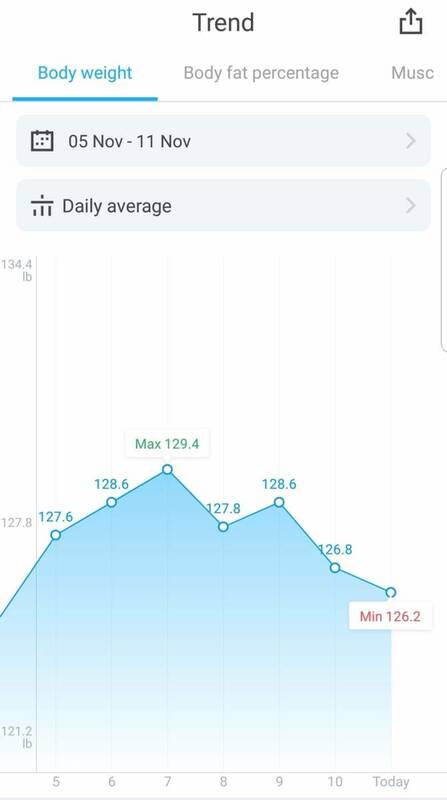 I think the PICOOC MINI app should penalize people for being underweight a bit more. People like me, who experience negative health consequences from being underweight, plus people trying to beef up, plus people working on eating disorder recoveries, should not be able to be both underweight and receive a 10/10 score, which is currently the case. If people on the app get dinged for being slightly overweight, people should be dinged for being slightly underweight, too. 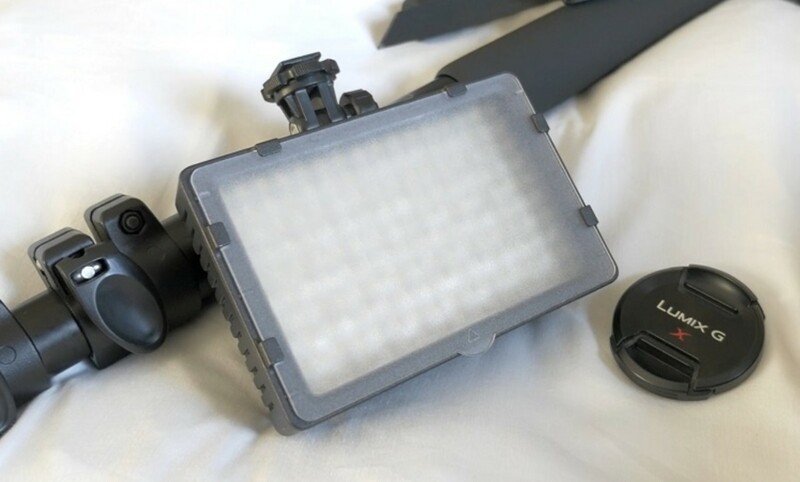 How Accurate is the PICOOC MINI? 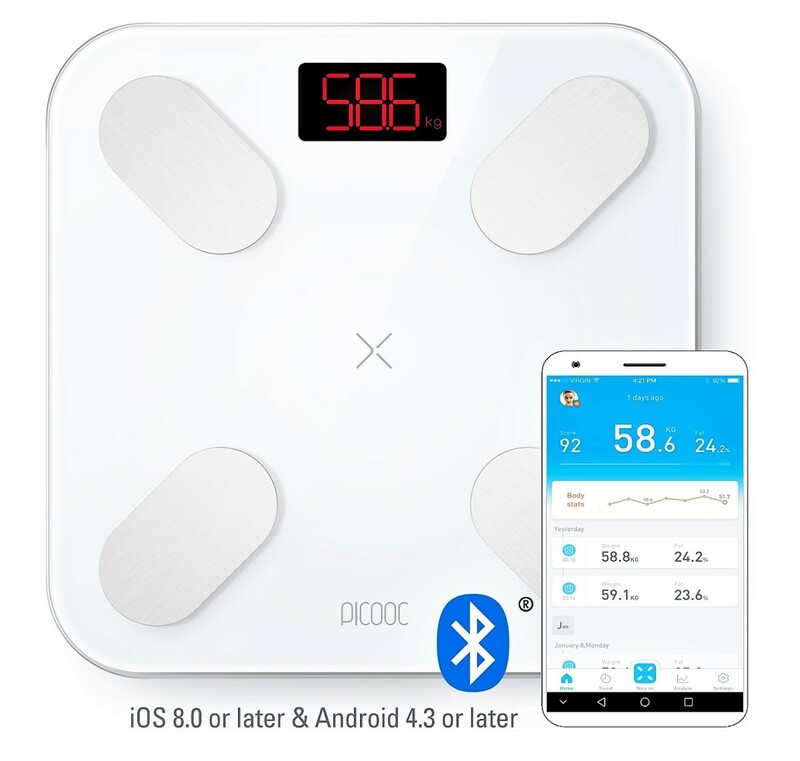 The PICOOC MINI's weight measurements are spot on, and at least empirically, my husband and I have found its body fat percentage estimations to be more believable than those of the Aria. 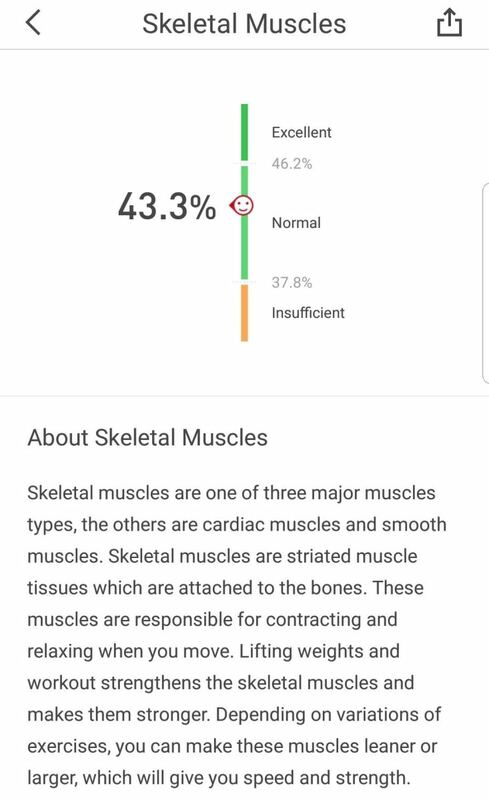 That said, it is difficult to say just how accurate the PICOOC's measurements of things like skeletal muscle, bone mass, and hydration might be, as I have tragically not had the pleasure of being fully physically analyzed in advanced medical lab capable of estimating these things. 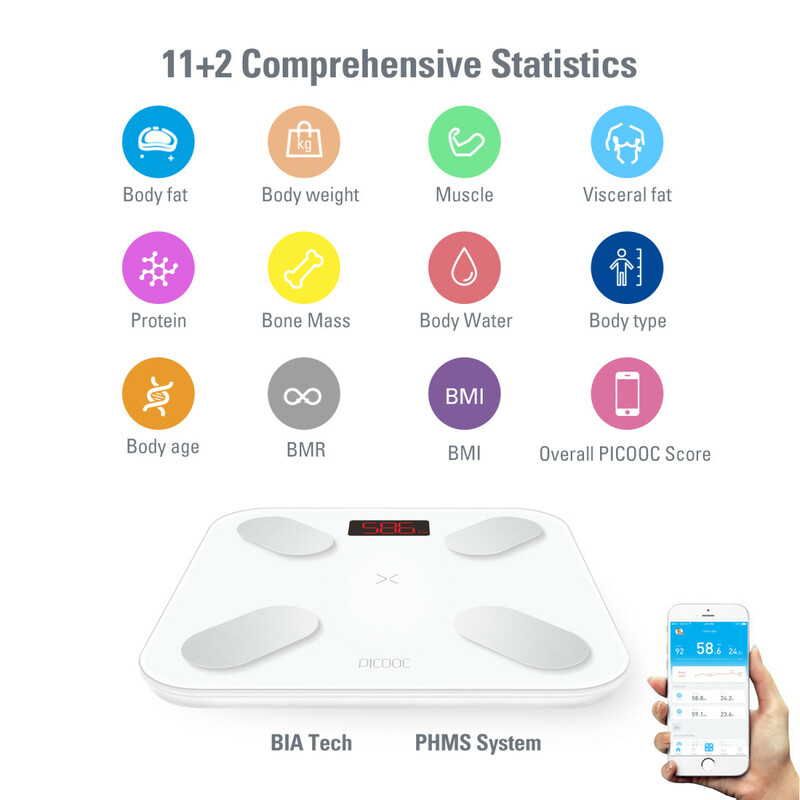 The more important thing for me is that the PICOOC MINI encourages us to gamily our weight loss process by giving us so many different stats to try to improve. It is far more rewarding to step on to a PICOOC scale and see that, while your weight may be the same, at least your body fat is down, your skeletal muscle has improved, and your protein percentage is up, than it is to step on a Fitbit Aria scale and see that your weight is the same while also seeing what may be a very inaccurate and frustratingly unflattering body fat percentage figure. We have basically stopped using our Aria scale and have moved to using our PICOOC MINI exclusively. 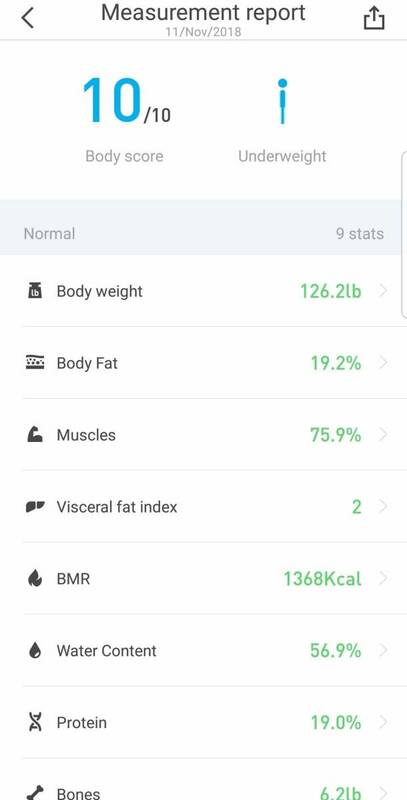 That said, those who don't care about other stats and just want a wifi scale that syncs effortlessly with their Fitbit app are obviously better served by the Aria. 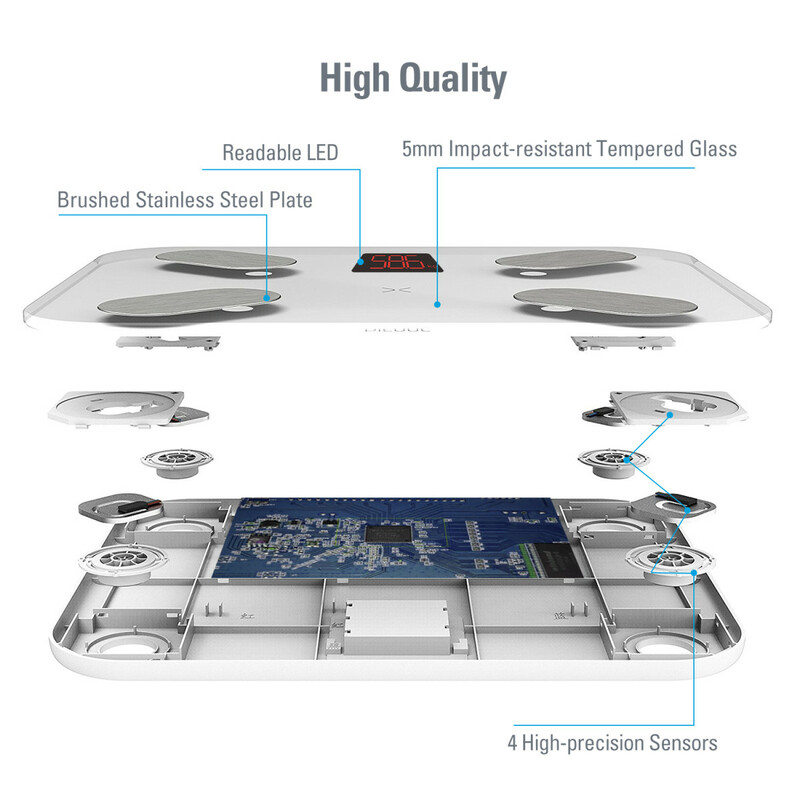 The PICOOC MINI scale is constructed similarly to most smart scales, which use light electrical currents and sensors to evaluate more than just weight. 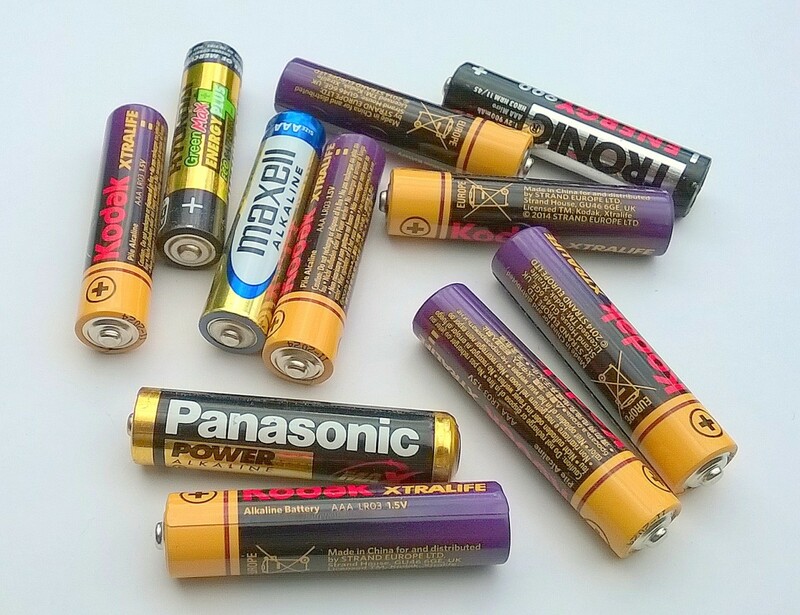 Electrical currents can only gauge so much, making all smart scales best for ESTIMATES only. Which is more accurate? The Fitbit Aria or the Picooc Mini? Let's not mince words: Knowing my body and my husband's body and how our measurements come out on each scale, I personally find the PICOOC MINI to be more accurate than the Fitbit Aria. Other reviewers have had their body fat percentage determined by experts with calipers and found that the Aria's body fat percentage figure was accurate within a tenth of a percent. This runs contrary to my and many other online commenter and reviewers' experiences, but... hey, maybe we are resentful about having higher body fat percentages than we would like! While I think the PICOOC MINI is more accurate with regard to weight and body fat, I am somewhat dubious of its bone mass measurement as discussed above and cannot vouch for the accuracy of the myriad other measurements it takes as I do not have any other smart scales that measure this and even rheumatologists and exercise physiologists with whom I have met have not been able to report to me what my visceral fat index, bone mass, protein percentage, or skeletal muscle percentage is. Frankly, I am taking these measurements with a grain of salt, but I still find them fun, and they seem to be GENERALLY accurate, especially when I compare the relative measurements given to my husband and I and my knowledge of his and my body, plus his and my levels and types of daily activity. I hope you have found this assessment to be useful. Godspeed. Oh, Cynthia!! It's so good to hear from you. I hope you are well. Honestly, what I like most about smart scales is they're NOT all about weight, which is not exactly a happy subject for me. That said, there are lots of gadgets out there. Happy November! Fun to see an article from you. :) I am into gadgets and intentionally haven't owned a scale. But from your assessments and reports here, I might have to try this. Three continents, eh? That's pretty spiffy! You've come so far, my friend! Keep up the awesome work!